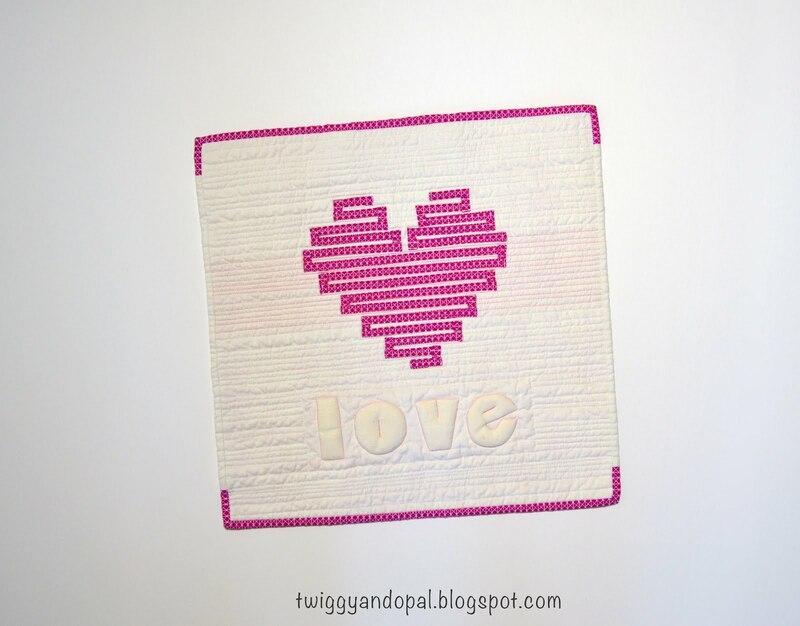 Twiggy and Opal: Happy Valentine's Day :: I Couldn't Resist! The day of love, sweets, romance, chocolate, flowers, candy! 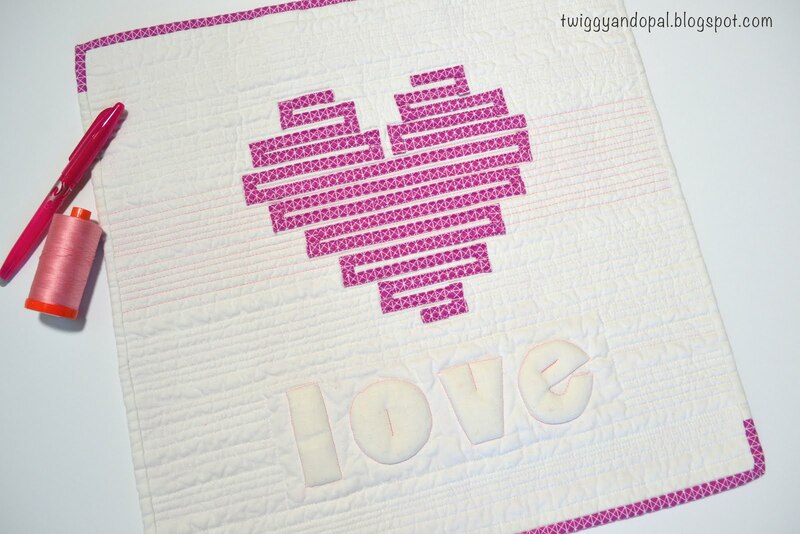 It's probably too soon to share version two of my bias tape hearts...but it is Valentines Day after all! A slightly different interpretation from Heart 1. This time I went smaller. Instead of working with 1" grid, I decided to go with a 1/2" grid. If you look at Heart 1, you will see it has more space in between the bias tape and the heart in more elongated. I starched the fabric this time, didn't use the fusible web tape and did not cut the fabric on the bias. All three of those things...Home Run!! It worked so much better! I think I like this version best...so far! I like a good chubby heart! 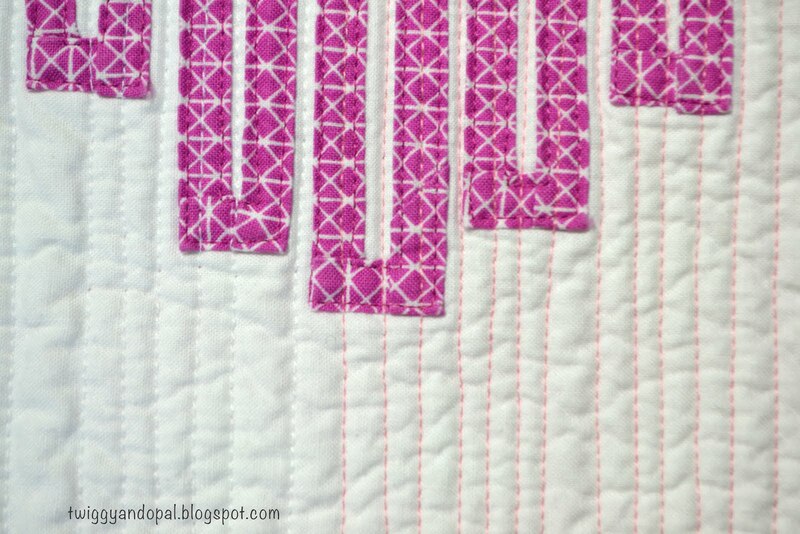 More match stick quilting with white and pink thread. I like that with the light background you can clearly see the thread colors. I'm not going to lie, I have plans for Heart #3. I know...I'm 'beating' (beating ... heart ... pun intended) this idea to death!! What would it look like using a 3/4" grid?! Plus, I need to get a secret surprise gift for another unsuspecting person. I had so much fun with the few I did last year, I want to keep it up for 2017. With that in mind, wouldn't a pretty little heart be a nice surprise to receive? Home run! I especially like the print, it sparkles. The binding was a fun little addition! 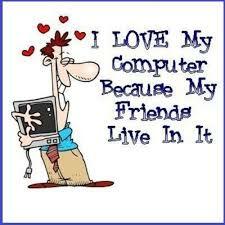 And I do love the chubby heart! I really like how this one turned out. 16 inches square seems like a fun finish size! 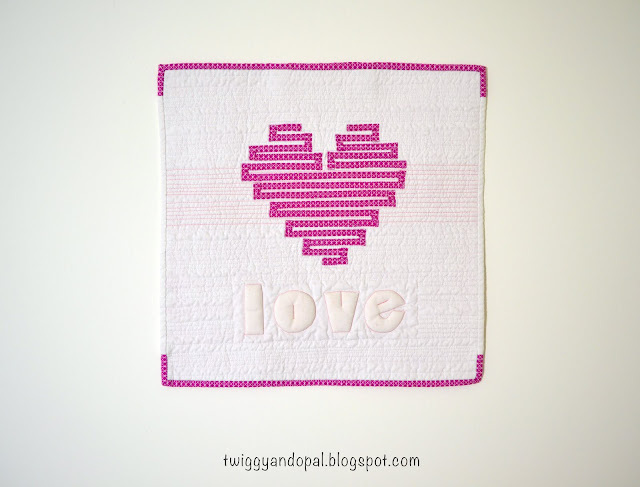 I look forward to seeing how your 3/4 inch grid compares to Heart #1 and #2. Happy Valentine's Day, Jayne!! 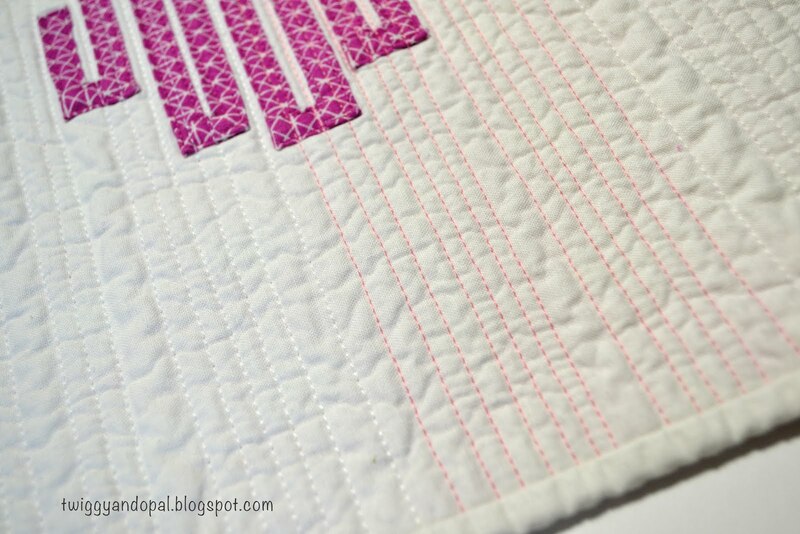 Very sweet - I like this one too and love your binding treatment. Oh I love this one even more than the first! Amazing, cannot wait to see #3! You and me both Hilary! I guess chubby is a good thing! Heart #3 will happen very soon. It’s on my mind and I can’t let it go until I explore it! Lovely ! I prefer this version to the first one. Love the binding as well. The pink print is perfect for this project. Even if it wasn't Valentine's Day you can never have too many hearts! I love seeing all the different methods you tried on this. By the way, what is faux trapunto? Oh, I love a chubby heart! But I wouldn't say no to a stretchy one, either--especially it was one of yours! I adore this "How small can I go?" journey of yours! Adorable! Would you consider linking it to a Valentine Linky Party I'm hosting? Would love to see it there! Happy Valentines Day Jayne. Love this little project. Thanks for sharing your process working with that bias tape. This is so pretty. Your heart is a-maze-ing and one could get lost in it. It is terrific you have a third one. Just in case one gets broken. Hearts are like babies...they should be chubby :) This is absolutely adorable. Can't wait to see heart #3! That might be the best explanation so far!! I’ve given up on #3 using the 3/4” grid. It is a lot like the first one but smaller and I’m just not feeling it! I’m sticking with heart #2! Another great finish. Your creativity amazes me. It was fun watching this project develop on Instagram. Seems like I'm there more often than the blogosphere lately. Oh the slippery slope! 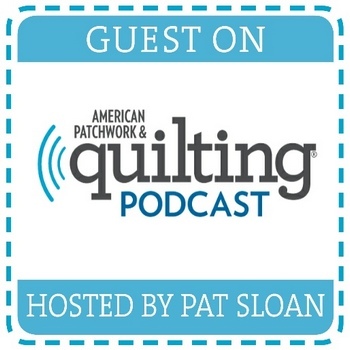 I like the idea of making wee surprise quilts for people. Maybe I'll add that to my "Wanna do" list. Thanks for linking up with TGIFF!